Microsoft said that open sourcing the popular Windows UX frameworks provides transparency between the product team and the community to democratize the Windows development. It also enables the community to engage and contribute to these repos. 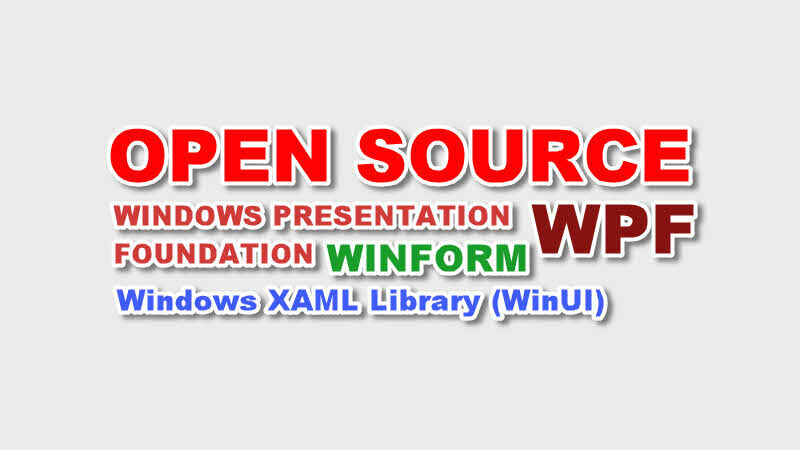 Presently, the Windows Presentation Framework (WPF), Windows Forms and the Windows XAML Library (WinUI) are open-sourced and available on their respective Git repositories on GitHub. More components will be open-sourced over the next few months. If you are ready for your contributions on GitHub, start contributing today. Along with this announcement, Microsoft released the first preview of .NET Core 3.0 and the first preview of Visual Studio 2019. Don't forget to checkout them too. If you have come this far, it means that you liked what you are reading (Windows Presentation Framework (WPF), Windows Forms and the Windows XAML Library (WinUI) are now open source).